On Thursday 23 August, you will get your first chance to find out more about the Portas Pilot. As you may have heard, Sydenham, Kirkdale and Forest Hill were successful in the second round of bidding. The Town Team (called SEE3) will outline the three projects which have received funding and explain how you can get involved. Come along to the Horniman Pavilion at 7:30pm to find out more. Our next Food Fair will be on Sunday 2 September at Forest Hill Station, with its blend of fresh and hot foods. Come along between 10am and 2pm to give the new vendors a try as well as supoprting the regular stall holders. 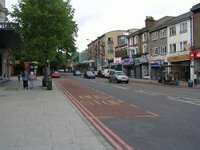 We are delighted to say that the first of our stall holders will be opening a shop on Dartmouth Road in September and another couple are looking for premises. On Saturday, 8 September, we will be holding a public meetng at 2pm to establish a Friends of Dacres Wood group. This will be held at the nature reserve in the Field Centre which is accessed down the driveway next to Homefield House. Sunday 9 September will see TheLittleGreenSccreen screening the second of their open air cinemas as part of Showtime at Grow Mayow. 'Garbage Warrior' will screen at 7:30pm, with upcycling art sessons with the Skip Sisters atrting at 3pm. 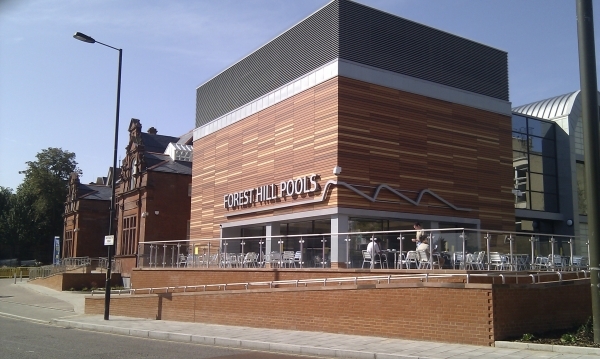 Saturday, 22 September should see the official opening of the pools. It is frustrating that the pools are not yet open, especially given the false starts and media coverage, but we are assured that progress is being made and Willomtt Dixon should hand the building over to Lewisham and Fusion Lifestyle soon. They are still running ahead of schedule, albeit slightly later than had been hoped. The Executive Commitee has been working flat out for the last two years on various projects. Our AGM will be in October and we need fresh blood to reinvigorate us with their ideas and enthusiasm. If you are frustrated about transport, planning or environmental issues or can simply offer your support to help, then please contact me via email@foresthillsociety.com. We would also benefit hugely from having someone with PR, publishing or legal expertise on the committee as well. The Olympics ambassadors demonstrated the depth of community support in the UK; lets make the Olympic legacy a community one a well as a sporting legacy. If you have any ideas for how the Assembly Funds should be spent this year, bids must be in by 31 August for Forest Hill (up to £2000), 14 September for Perry Vale (up to £2000) and 12 October for Crofton Park (up to £500). Contact email@foresthilsociety.com for an application form and further details. The nice folk over in Sydenham are looking for images to do with Sydenham for their Greyhound Wall Competition. If you would like to have your photo preserved for posterity, then head over to whatifsydenham at whatifsydenham.wordpress.com/2012/08/08/be-part-of-the-greyhound-wall-artwork/ for further deails. You can submit an entry providing you or the subject matter have a connection to Sydenham.